Mix and pour into a large bowl. Garnish with bitter chocolate shavings. 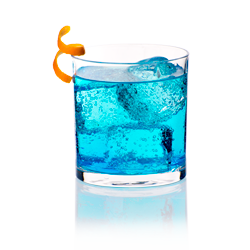 Mix ingredients thoroughly in a Collins glass filled with ice. Garnish with fruit (pineapple, orange, or lime). Mix and top with whipped cream. 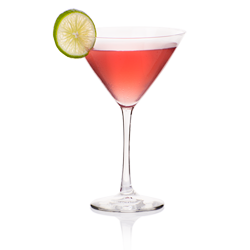 Shake all ingredients with ice and serve up in a martini glass, finish with a fresh strawberry garnish. 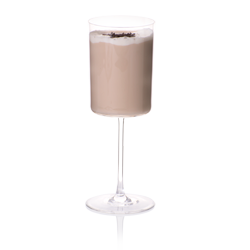 Heat up the chocolate milk, shake with Pearl Caramel & Frangelico and serve warm! Top off with whipped cream. Put all ingredients in a blender with ice. Serve up in a martini glass lined with chocolate syrup. 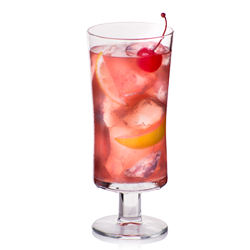 In a shaker, combine Rebel Reserve Cherry, cranberry juice and lemonade. Pour over ice. 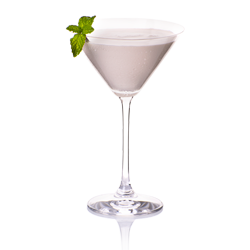 In a martini glass, pour Pearl Chocolate Covered Cherry, then Arrow® Peppermint Schnapps and top with chocolate milk.